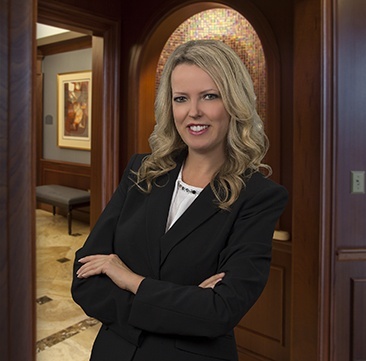 Amy Darby is a member of the firm's Commercial Litigation practice group focusing on the areas of construction, professional liability and employment. Ms. Darby's construction litigation practice includes representing builders, developers and design professionals in construction defect actions, breach of contract, common law indemnity, contribution and other types of construction disputes. She has handled several complex, high dollar cases to a successful resolution on behalf of her construction clients. Ms. Darby has litigated construction cases involving high-rise condominiums and single family construction defect, infrastructure defect, commercial delay claims, allegations of fraudulent land deals, special district cases and bid protests. On behalf of one of her home builder clients, she tried a construction defect case with admitted mold and defects in the installation of stucco resulting in no damages and costs being awarded to her client. On behalf of her design professional clients, Ms. Darby understands the technical, substantive issues on which construction claims are based and aggressively, yet cost-effectively, defends such claims to secure resolution as early as possible. Ms. Darby counsels her clients through every phase of litigation, from pre-litigation strategy and contract review to efficiently defending or prosecuting claims to achieve a final resolution in her client's best interest. On behalf of her real estate clients, Ms. Darby has successfully defended against professional liability claims involving negligence, non-disclosure, fraudulent land transfer, defective title and breach of contract. Ms. Darby was able to dismiss many of these cases at the initial stage through a Motion to Dismiss, and Ms. Darby’s real estate broker clients were recently awarded their attorneys’ fees spent defending against a professional negligence claim involving a commercial land transaction. Ms. Darby counsels all of her clients on employment matters that arise in the workplace. She has successfully defended her clients against wrongful termination, sexual harassment, age discrimination and ADA related claims. In a multi-million dollar class action seeking back pay for alleged race and national origin discrimination, Ms. Darby was able to decertify the class based on failure to prove class-wide damages and reached a successful resolution of the matter for her client. "Blurred Lines: Overcoming Ambiguity in Florida Construction Law," The Construction Defect Claim Manager Association (CDCMA) Meeting, November 29, 2018. The Ethics of Privilege: Behind the Walls of Our Conference Rooms, Between the Borders of Our Country and Beyond, How You Can Stop Making Everyday Mistakes That Can Cost You the Attorney-Client Privilege," presented to the ABA Construction Law Forum’s Annual Meeting, April 22, 2017. “Right-to-Repair, Pros & Cons”, presented at the 19th Annual West Region Construction Defect and Insurance Coverage Conference, September 19, 2013. Amy relocated from Denver, Colorado to Tampa, Florida in 2013 to be closer to family. She loves the water and spends her free time boating or at the beach. She is a proud mom to her young son, Gavin, who keeps her very busy.